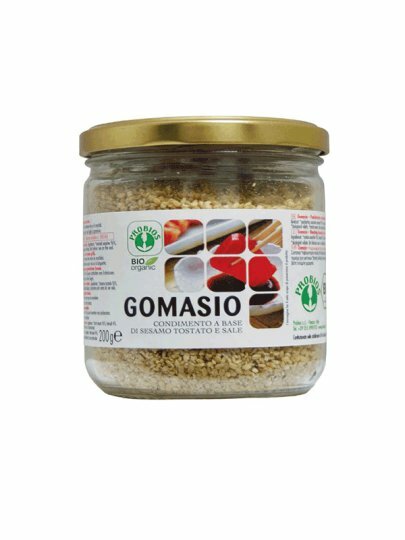 Gomashio (from Japanese gum = sesame, shio-salt) is made from fried spices and sifted with sesame, mixed with a small amount of salt. It gives the dishes a characteristic taste. Gomashio Probios is guaranteed no gluten. * Fried sesame seeds, sea salt.